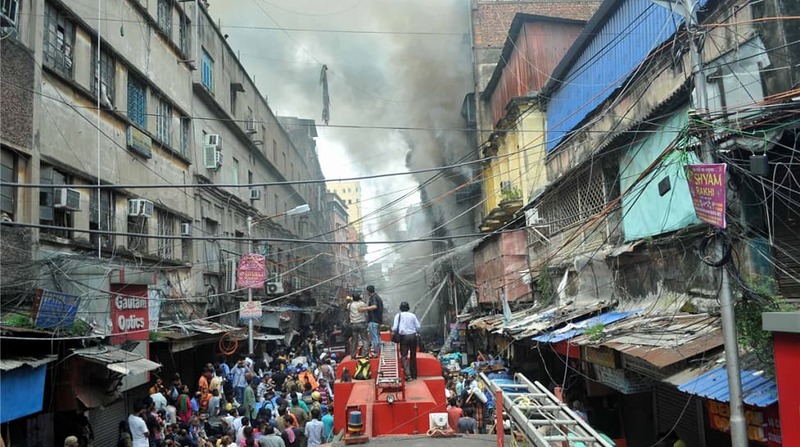 A massive fire broke out in the multi-storied wholesale Bagree Market, at Burrabazar in Kolkata on Sunday morning. The blaze continued Monday with firefighters claiming it could several more hours to control it. At least 35 fire tenders and over 250 firefighters have been pressed into service. Black smoke was seen billowing out of the building. 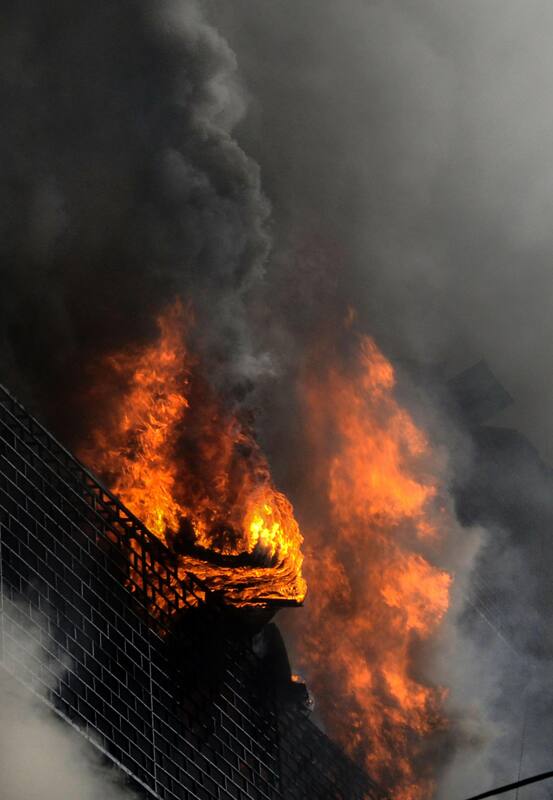 The blaze has now spread to other parts of the market in the congested Canning Street. The fire, which was brought a little under control, erupted again on the fourth floor on Monday morning. Firefighters were seen trying to control the blaze by spraying water on the building from six directions. 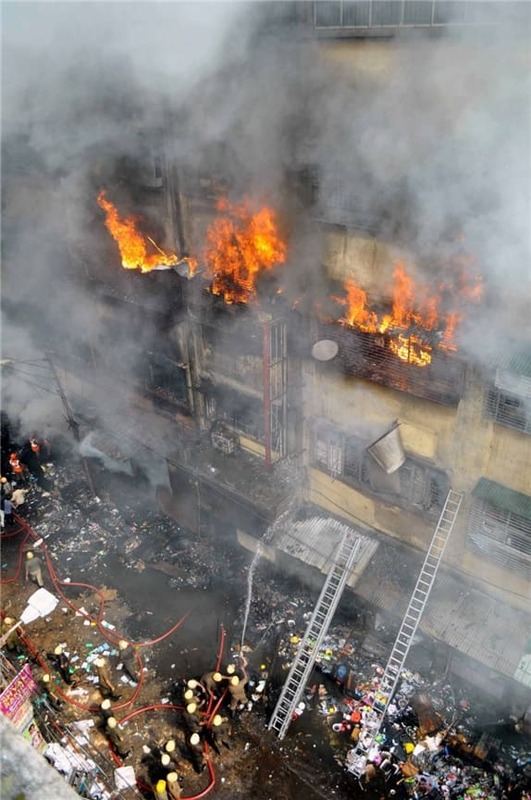 No loss of life has been reported but six persons, including two fire fighters, fell sick after inhaling the toxic smoke, the police said. Water was also sprayed in the nearby buildings to stop the fire from spreading. The department faced difficulties with the scarcity of water in the area as water was supplied from a water body in nearby Laldighi and Hooghly river in Mallickghat. "Water scarcity is a problem here. If there was a water supply from this area we could have fought the fire in a much better manner. Supplying water has been a problem as it is brought from nearby supplies," another official of the fire department present at the site told PTI. 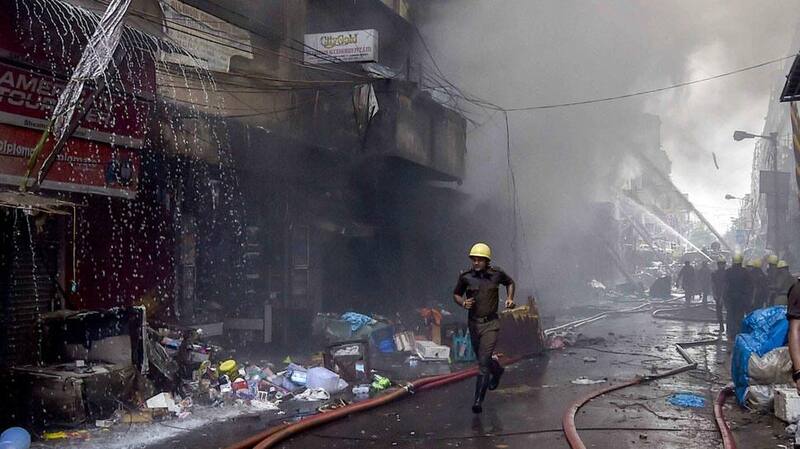 Fire fighters busy dousing a massive fire that erupted around 2.45 a.m at Bagree Market, a wholesale market in Kolkata on Sept 16, 2018. 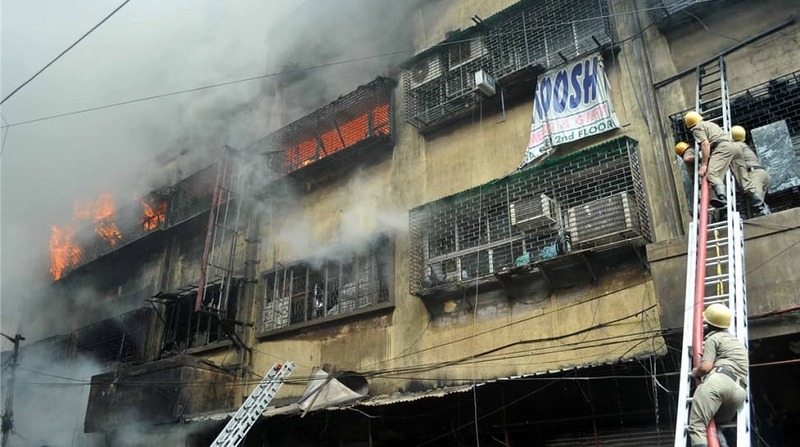 Smoke billows out of a multi-storied wholesale Bagree market. 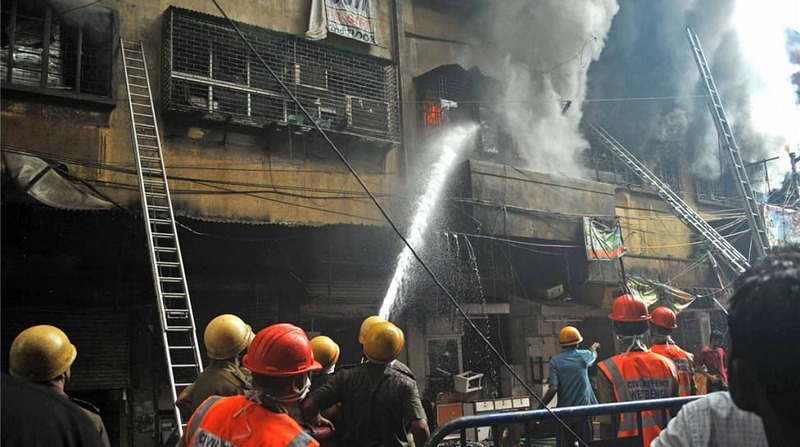 The fire gutted at least 1,000 business establishments inside the market causing huge losses to traders ahead of the Durga Puja festival. 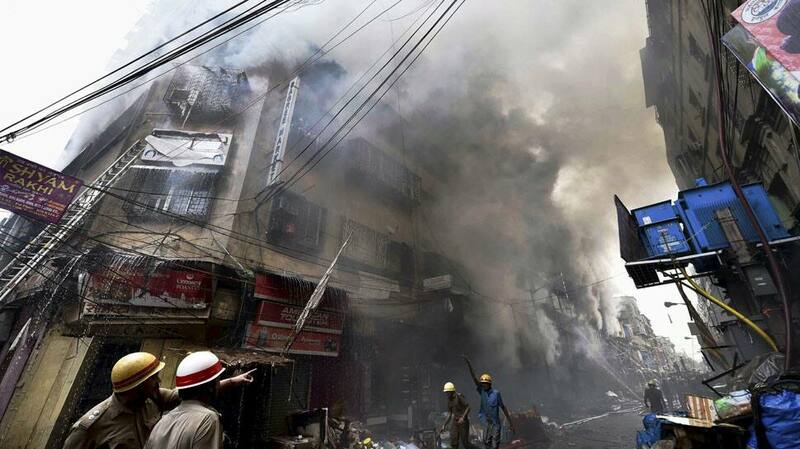 The blaze later spread to other parts of the market in the congested Canning Street. A senior police officer, who visited the area, said the situation has improved Monday and firemen are still working to tame the flames.